Work is well underway to install the curtain wall on the 11-story, 39-unit mixed-use building under development at 520 West 28th Street, in West Chelsea. 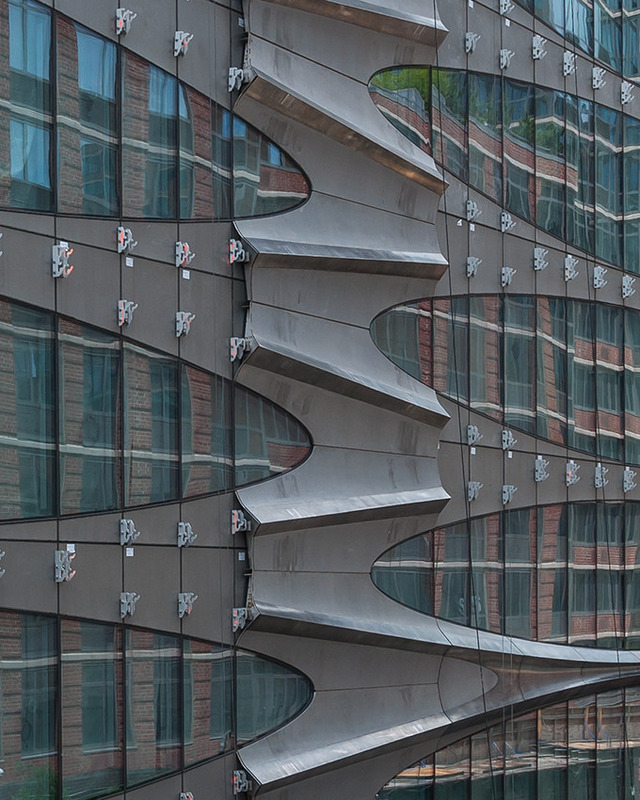 The construction progress can be seen thanks to photos taken by ILNY/NYConstructionPhoto (h/t Curbed NY). 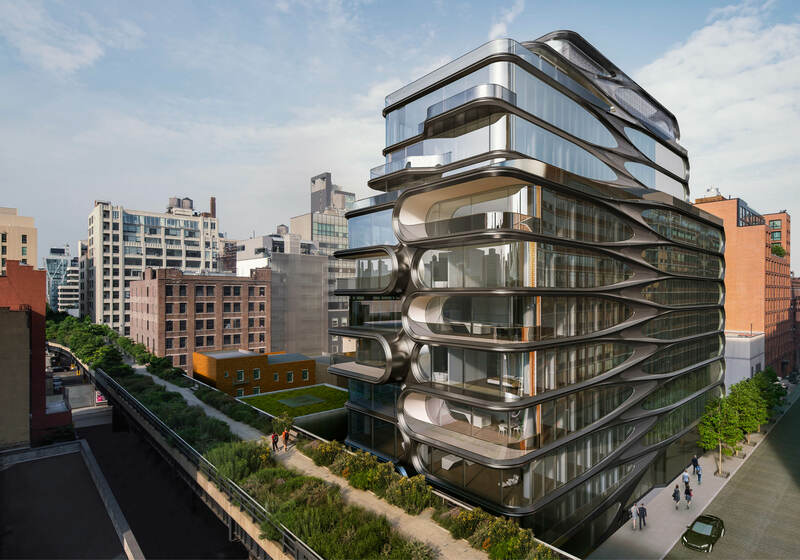 The building, encompassing 188,696 square feet, was designed by the late Zaha Hadid, who also fashioned the yet-to-be revealed design for another condominium project at 220 11th Avenue, two blocks south. At 520 West 28th Street, the ground floor will host 11,183 square feet of commercial-retail, followed by 39 condominiums on the floors above. On average, the apartments should measure 3,533 square feet. Amenities include a 75-foot-long pool, a private IMAX theater, a spa suite, an entertainment room, a fitness center, private residential storage space, a garden near the lobby, and an automated 11-car parking garage in the cellar. Related Companies is the developer and Ismael Leyva Architect is the architect of record. The structure topped out earlier this year and completion is expected later this year. 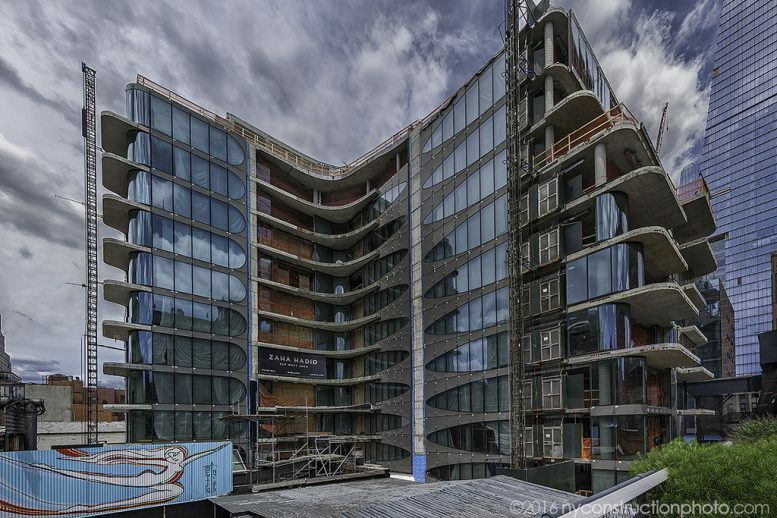 1 Comment on "Façade Being Installed On 11-Story, 39-Unit Mixed-Use Project At 520 West 28th Street, West Chelsea"
I want to call this design “Star War Building”, only one in the world of most creative.